For most people, the most dangerous encounter they have with electricity is a static discharge when they scoot too quickly across the carpet while wearing socks. For those who have a desire to help harness the power of moving electrons to run the world, you’ll require knowledge of electrical safety procedures and some professional training as you work with rapid torrents of energy. It’s not the voltage that kills you; it’s the Watt-seconds. There’s an old saying that gets passed around when discussing electricity: “It’s not the voltage that kills you; it’s the amperage.” While the adage does help motivate people to be more cautious around low voltages that still possess real danger, it’s not quite entirely accurate. A basic understanding of voltage and amperage will give you the first clue, since the two are intrinsically linked through Ohm’s Law: I = V/R, where I is the current in amperes, V is the voltage, and R is the resistance in ohms. Another clue is the common sense of showing more care and deference to high voltage sources of electricity employed throughout the world. To find the real answer, you have to determine the rate of power transfer in watt-seconds, found by multiplying the voltage by the amperage over time. Charles Dalziel’s research showed how measuring the level of the shock over time adhered more closely to the expected results of electrical damage. By working from watt-second calculations applied to the resistance of the human body reached the deadly current levels at 13.5 watt-seconds. This can be accomplished at a variety of voltage and current levels, but the truth is that high voltage workplace environments are more likely to cause fatal injuries. You don’t have to worry about your kid’s safety when they’re holding an AA battery or pulling the 9V out of their RC car. That said, Dalziel’s research showed that voltages as low as 50V can reach the 13.5 Watt-second rate that is needed to cause lethal damage to a person. A good way to determine how safe you should be around various appliances is by examining their typical Wattage. Larger pieces of equipment like boilers, automobiles, or HVAC components require higher voltages to operate, which is why their electrical components are well-protected. Smaller appliances that you can plug in at sockets around the office can be lethal in the wrong set of circumstances, but you’re more likely to just feel a minor stinging zap if you accidentally tap into the power line of Janice’s coffee pot. In a public or workplace environment, there should be no guessing about voltage levels. Any voltages above 50V need to be inaccessible to anyone lacking the training and authorization to perform maintenance or inspections. In a professional environment, you will want to refer to rules established by the Occupational Safety and Health Administration (OSHA) to determine how to operate, install, inspect, or repair electrical equipment safely. 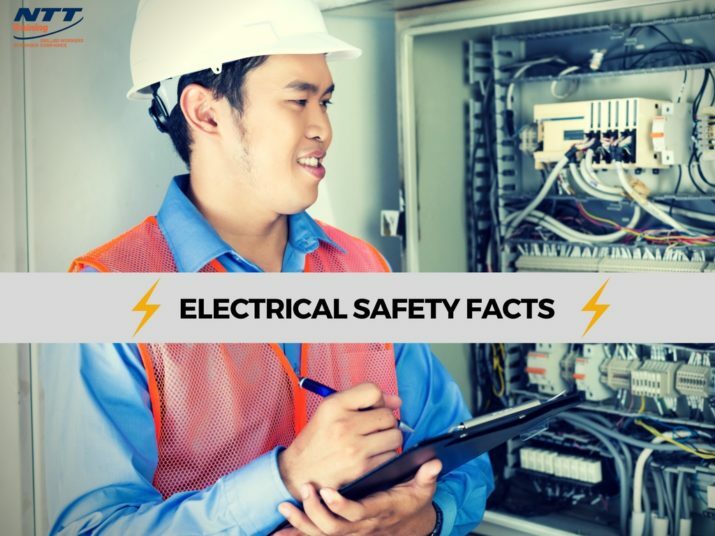 To ensure the safety of yourself and your coworkers, it is important that you review electrical safety guides like OSHA’s Controlling Electrical Hazards regularly. When working near a high voltage electrical source, wear protective insulation gear like gloves and boots. Any tools that you use should either be made from a non-conductive material or have a layer of insulation restricting the amount of exposed conductive area. Higher voltages will require thicker insulation to properly protect you, so always check the rating of your equipment versus the expected environment. Before you don your equipment, check for tears, cuts, and other damage to it that may reduce the effective resistance and put your life at risk. Unless necessary, turn off all power sources before working near electrical lines. When a device’s power source is disabled, it needs to be locked and tagged to make sure that it isn’t accidentally activated while workers may be in contact with what they assume is a dead line. Despite its danger, it is possible to control the vast amounts of electricity generated by the turbines in power plants that drive all of the devices we rely on every day. If you work in a high-voltage environment, you can benefit from additional education from NTT Training. Available training options include seminars covering topics like how to avoid arc flashes that can occur when extreme voltages are exposed to avoid arc flashes air, on-site training on specific equipment handling, and easily accessed online learning modules that can be accomplished without upsetting the work schedule. Contact us today for more information on electrical safety training that might save lives. For more information about National Technology Transfer or any of our programs visit our Website or view our full Training Schedule.